Web page builders Virginia Beach VA | This legacy website developed years ago continues to generate online customer leads and support the existing customers. This website also contains multiple product pages for enhanced SEO. 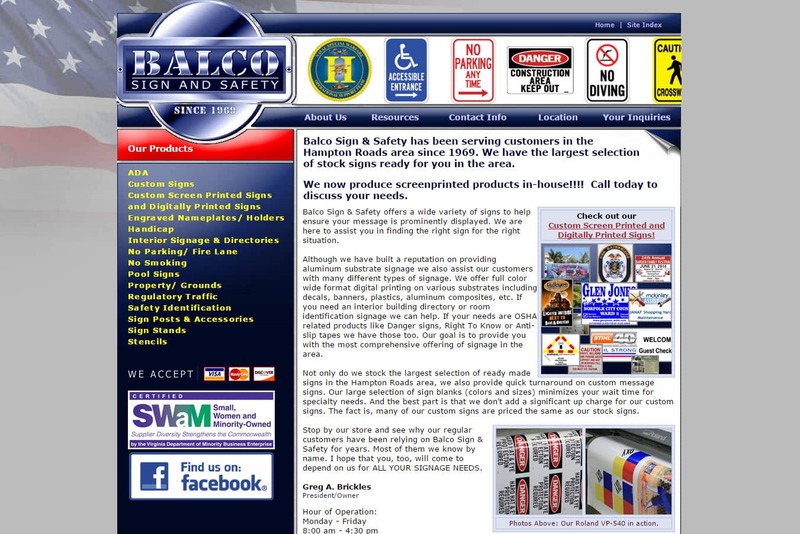 Balco Sign and Safety has offices and facilities located in Virginia Beach, VA. Search ‘Web page builders Virginia Beach VA’ find the web design experts at VISIONEFX. SEO and web maintenance services. VISIONEFX has top Google Reviews posted on Google My Business pages. Read our reviews and contact our website customers. They will tell you our web design and web maintenance services are second to none. Call: (757) 619-6456 or email info@visionefx.net.